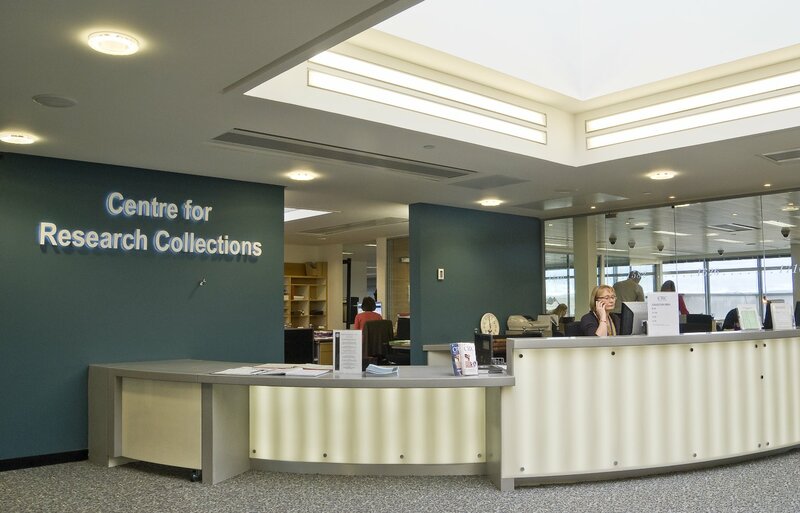 Alice has recently started as our new Graduate Trainee – here she tells us about her first month based at the Centre for Research Collections (CRC). As the first Graduate Trainee at the CRC, I feel that it is important to keep a record of how the job role is being developed and hopefully give future trainees an insight into what working here is like. I am now one month in, and have nothing but great experiences to report. Keeping to the initial schedule, the first month has consisted mostly of inductions with all the different areas of the CRC and learning about all the procedures for the front desk and reading room. The inductions have all been fascinating. 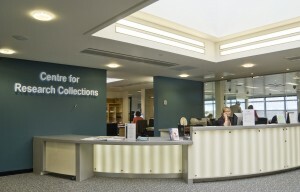 The collections here are so varied and caring for them involves so many different areas of expertise that I have had the opportunity of meeting people with incredibly diverse backgrounds, all equally friendly and very welcoming. This entry was posted in Interns, Library on October 6, 2014 by universitycollectionsvolunteers.